Projects meet state standards, directly relate to student experience and connect with subjects such as language arts, math, science and history. Students review works by recognized artists that provide insight and direction for the specific topic, concept and medium. 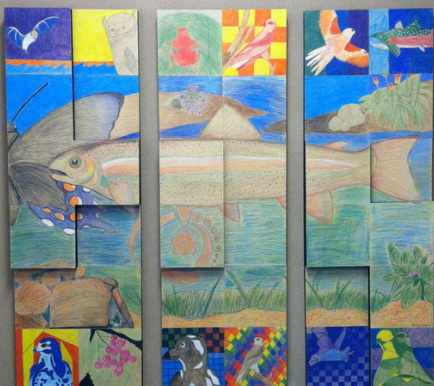 The mural, created using colored pencil on board, is designed to highlight the theme for the work of art: Preserving Our Natural Waterways--Dry Creek. Scholars voted to focus attention on endangered species native to the area. Dry Creek has been designated as a protected waterway for a specific species, the Central Valley Steelhead trout, which is featured as the largest element of the mural. Additional endangered species appear on the borders of the mural. The Pipevine Swallowtail Butterfly is also included as a large element because essential habitats for individual colonies in the region are rapidly disappearing. The caterpillars of these beautiful insects feed only on the Pipevine plant, which only grows along waterways and is considered a weed. Mature Pipevine Swallowtail butterflies are poisonous and they get their poison as caterpillars from Pipevine plants. Individual colonies prefer specific oak trees, which are also disappearing in this area. The gear on the mural is a reminder that technology can also be used to preserve and protect our fragile environment. In the process of exploring Human Proportion, Art 1 Students analyzed each feature of the face in a large drawing. 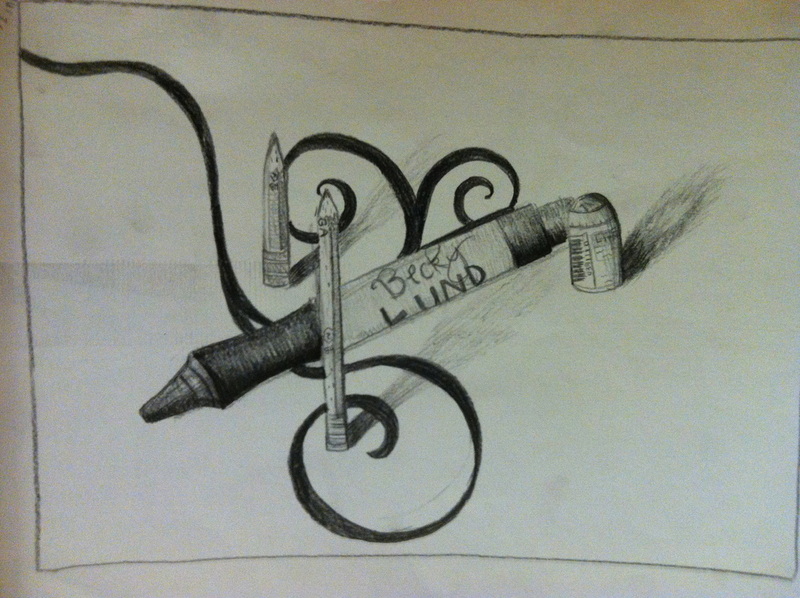 These drawings were then combined to create a "weird" face. 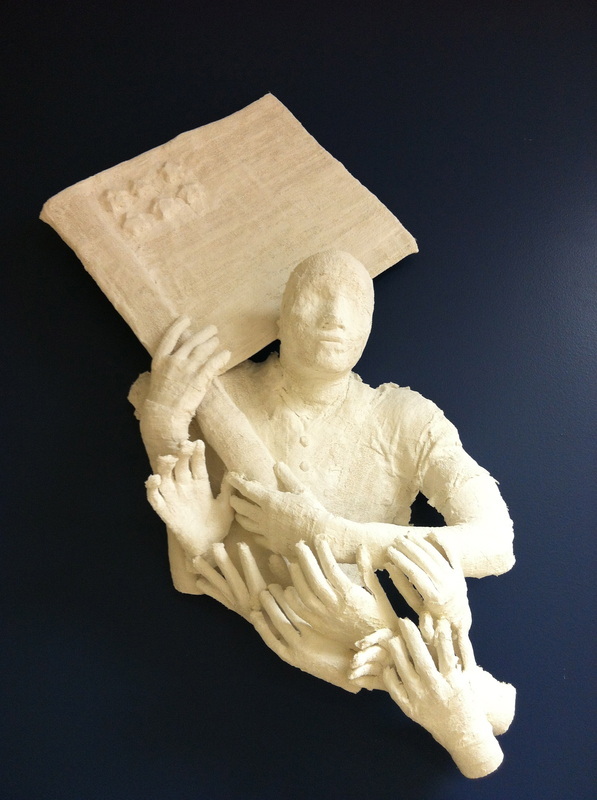 Visual Arts 1A, 9th-10th students, used plaster fabric to create a sculpture honoring Constitution Day, September 17th. The sculpture, "We the people of the United States, in order to form a more perfect union..." represents many people coming together to found the United States. The sculpture also represents the importance of many people coming together to preserve the Constitution as a founding document for future generations. 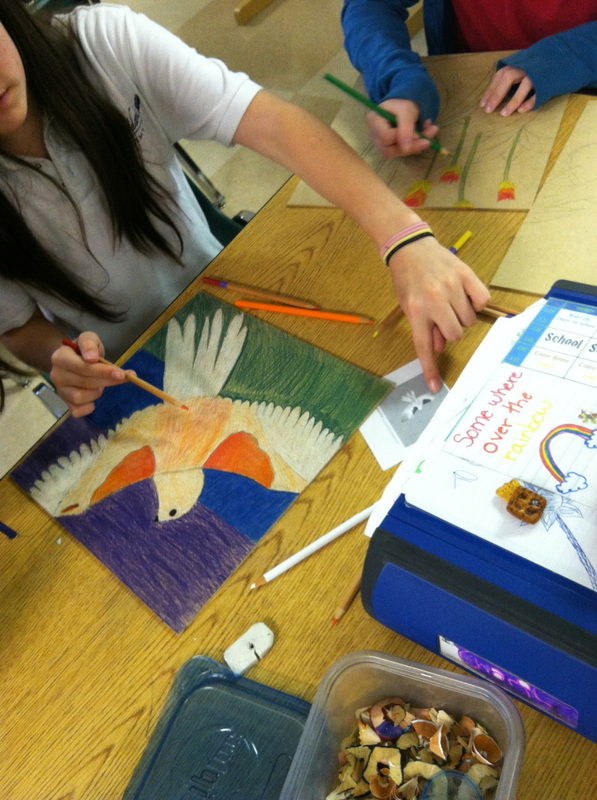 Students enjoyed discovering how to create a sense of Harmony and Unity in their artwork. Harmony is created when individual elements relate to each other and Unity happens when the separate elements also relate to the work of art as a whole. 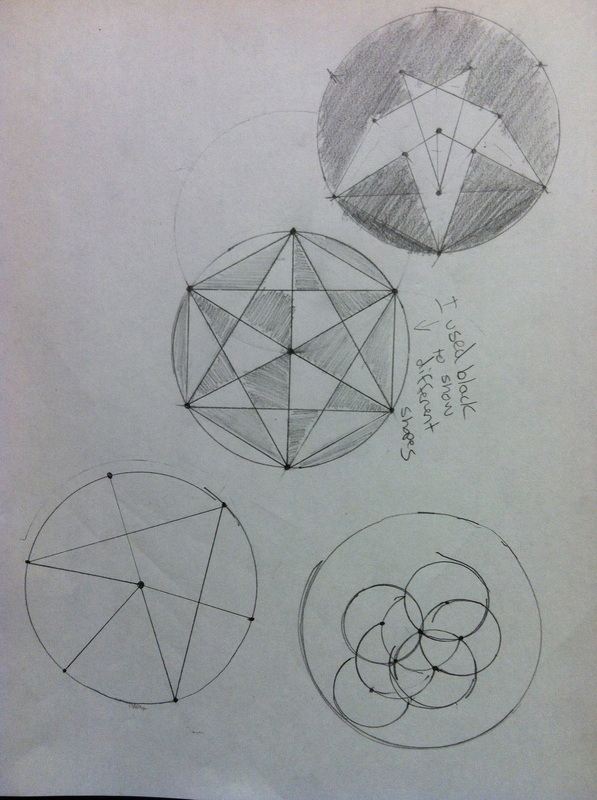 For thousands of years, artists, architects and designers have developed their works using mathematical relationships. Our scholars are learning that the most interesting designs combine order and variety. Brain waves are stimulated by the combination of both order and variety. Research indicates that brain waves flatten with too much order (boring) or too much variety (confusion). Math provides the sense of order and JAA scholars are demonstrating how the potential for variety (creativity) is endless. Scholars reviewed the art element of Value, created several value studies and a drawing of a sculpture of items from their team's backpacks. After studying the life and works of the Italian artist, Giorgio Morandi, scholars used cross-hatching to create a range in values--as demonstrated in the video below. 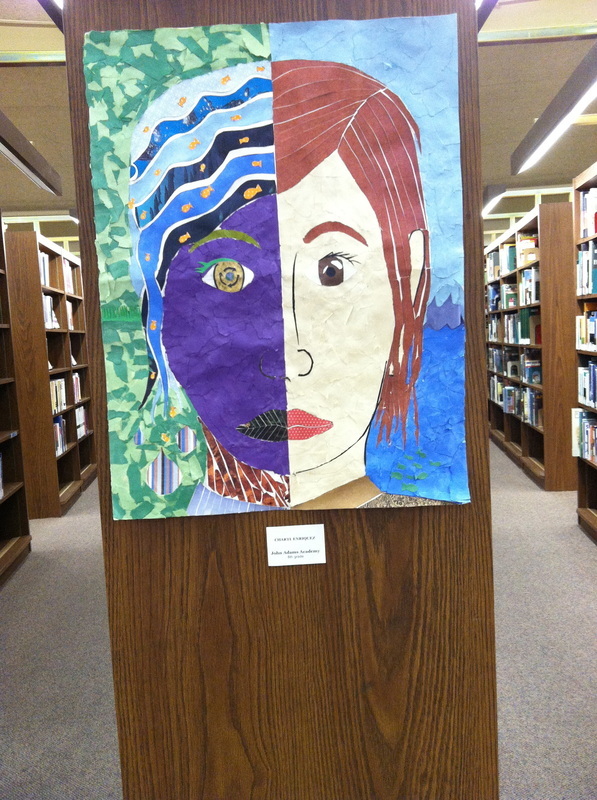 An exhibition of student artwork created by 8th grade students was on display at the local library. The large collages feature preservation of Dry Creek, a local waterway. In preparation for the collages, students explored Dry Creek, studying plants and animals native to the region. Students were surprised to learn the variety of endangered animals that rely on the environment surrounding the stream.